Abu Hanifah Muhamad Ali, MH Ani, Mohd Ambri Mohamed. (2014). Channel length effect on the saturation current and the threshold voltages of CNTFET. - 2014 IEEE International Conference on Semiconductor Electronics (ICSE 2014). 267-269. Mohd Ambri Mohamed, B.Y. Majlis and M. H. Ani. (2014). Electronic state transition in cooperatively interacting point-defects in semiconductor crystals. - 2014 IEEE International Conference on Semiconductor Electronics (ICSE 2014). 252 - 254. Fatin Bazilah Fauzi, Raihan Othman, Mohd Ambri Mohamed, Sukreen Hana Herman, Ahmad Zahirani Ahmad Azhar and Mohd Hanafi Ani. (2015). Transition Metal Oxide (TMO) Thin Film Memristor on Cu Substrate Using Dilute Electrodeposition Method. - Materials Transaction. 1147-1151. F B Fauzi, M H Ani, R Othman, A Z A Azhar, Mohd Ambri Mohamed and S H Herman. (2015). Fabrication of Flexible Au/ZnO/ITO/PET Memristor Using Dilute Electrodeposition Method. - IOP Conference Series: Materials Science and Engineering. 1-7. Nobuo Otsuka, Mohd Ambri Mohamed, Pham Tien Lam. (2015). Mechanism of Large Thermal Fluctuations and Slow Relaxation of Elastically Interacting Point-Defect System. - Journal of the Physical Society of Japan. 1-9. Poh Choon Ooi, Muhammad Aniq Shazni Mohammad Haniff, M.F. Mohd Razip Wee, Chang Fu Dee, Boon Tong Goh, Mohd Ambri Mohamed, Burhanuddin Yeop Majlis. (2017). Reduced graphene oxide preparation and its applications in solution-processed write-once-read-many-times graphene-based memory device. - Carbon. 547-554. Mohd Asyadi Azam, Nor Najihah Zulkapli, Norasimah Dorah, Raja Noor Amalina Raja Seman, Mohd Hanafi Ani, Mohd Shukri Sirat, Edhuan Ismail, Fatin Bazilah Fauzi, Mohd Ambri Mohamed, and Burhanuddin Yeop Majlis. (2017). Critical considerations of high quality graphene synthesized by plasma-enhanced chemical vapor deposition for electronic and energy storage devices. - ECS Journal of Solid State Science and Technology. 3035-3048. Husniyah Aliyah Lutpi, Hazleen Anuar, Mohd Ambri Mohamed and Sapuan M Salit. (2016). Potential of irradiated high density polyethylene/ethylene propylene rubber-carbon nanotube nanocomposite as shoe sole. - Journal of Sports Engineering and Technology. 100-110. Mohd Ambri Mohamed, Farah Dzilhani Zulkefli & Burhanuddin Yeop Majlis. (2017). Pencirian Transistor Karbon Tiub Nano Berdinding Tunggal yang Dihasilkan melalui Kaedah Pertumbuhan Langsung. - Sains Malaysiana. 1141-1145. Aishah Khalid, Mohd Ambri Mohamed & Akrajas Ali Umar. (2017). Graphene Growth at Low Temperatures using RF-Plasma Enhanced Chemical Vapour Deposition. - Sains Malaysiana. 1111-1117. Mohd Amir Zulkefli, Mohd Ambri Mohamed, K. S. Siow, Burhanuddin Yeop Majlis, Jothiramalingam Kulothungan, Manoharan Murugunathan, Hiroshi Mizuta. (2017). Three-Dimensional Finite Element Method Simulation of Perforated Graphene Nano-Electro-Mechanical (NEM) Switches. - Micromachines. 1-16. Masih Ghasemi, Pankaj K. Choudhury, Muhammad Abuzar Baqir, Mohd Ambri Mohamed, Ahmad Rifqi Md. Zain, and Burhanuddin Yeop Majlis. (2017). Metamaterial absorber comprised of chromium-gold nanorods-based columnar thin films. - Journal of Nanophotonics. 1-10. Mohd Amir Zulkefli, Mohd Ambri Mohamed, Kim S Siow, Burhanuddin Yeop Majlis. (2016). Optimization of beam length and air gap of suspended graphene NEMS switch for low pull-in voltage application. - IEEE-ICSE2016 Proc. 2016, Kuala Lumpur, Malaysia. 29-32. Aishah Khalid, Mohd Ambri Mohamed, Burhanuddin Yeop Majlis, Mohd Asyadi Azam. (2016). Characterization of graphene growth using RFPECVD on Cobalt films. - IEEE-ICSE2016 Proc. 2016, Kuala Lumpur, Malaysia. 340-343. Nurul Nabila Rosman, Rozan Mohamad Yunus, Lorna Jeffery Minggu, Khuzaimah Arifin, Mohammad Kassim, Mohd Ambri Mohamed. (2018). Progress in Photoelectrochemical Research 2018. - . 9. Mohd Ambri Mohamed. (2018). Teknologi Semikonduktor dan Nanoelektronik Perkembangan dan Kegunaan. - . 8. 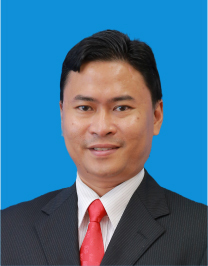 Iskandar Yahya, Mohd. Ambri Mohamed, S. R. P. Silva. (2015). Solution processed post-synthesis separation of carbon nanotubes based on electronic type and post-separation tube defect evaluation. - 2015 Collaborative Conference on 3D & Materials Research (CC3DMR). .
Mohd Ambri Mohamed, A. Fujiwara & B. Y. Majlis. (2016). Device operation of carbon nanotube field-effect transistor fabricated by direct growth method.  - 4th Malaysia 2D Material and Carbon Nanotube Workshop (2DMC-2016). .
Mohd Ambri Mohamed. (2017). TUS Alumni Journal. - Alumni News - Middle standing. 16. Mohd Amir Zulkefli, Mohd Ambri Mohamed, Kim S. Siow, Burhanuddin Yeop Majlis, Jothiramalingam Kulothungan, Manoharan Muruganathan, Hiroshi Mizuta. (2017). Stress analysis of perforated graphene nanoelectromechanical (NEM) contact switches using 3d finite element simulation for mechanical reliability improvement. - International Conference on Nanoscience and Nanotechnology 2017 (NANO-Scitech 2017). .
Mohd Ambri Mohamed, Muhamad Ramdzan Buyong, Azrul Azlan Hamzah & Burhanuddin Yeop Majlis. (2018). IMEN Postgraduate Colloquium 2018. - . .
GUP-2017-055 penchem technologies sdn. bhd.